Following on from the seven universal expressions, I’ve been asked a number of times about where certain emotions would fit within the seven universal emotions. An exercise I ran during a couple of my workshops seemed to really help participants appreciate how this all fit together. First I ask; “What are some emotions you can think of? – then wrote them on a whiteboard. Of course, the first ones called were the seven universal emotions; happiness, sadness, surprise, fear, anger, disgust and contempt. But then other emotions were called out, such as excitement, depression, shock, terror, rage, repulsed and scorn. In this example, excitement would fit into the “happiness” category, along with joy, amused etc. There’s a happiness scale, from mild right through to very strong. Anger has a large range; between irritated or annoyed through to rage. Anything in between would fit into the anger category. 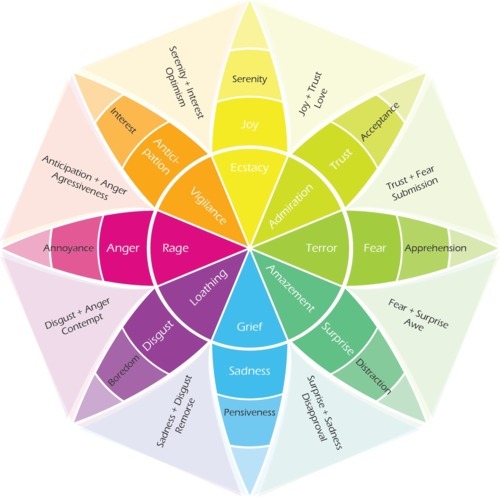 This is why I quite like Robert Plutchik’s Wheel of Emotions – although the seven emotions nearly fit perfectly into his model – it is a great illustration of these ranges within each category of emotion. We also have to be aware as to what isn’t classed as an emotion; does the emotion last quite a long time? It could be a mood. Is this how the person usually acts or feels? It could be a personality trait. Lastly, is the person over the top severely breaching our social norms for emotional behaviour? It could be a psychopathological disorder. For example, someone could express fear (a relatively temporary emotion), they could be naturally apprehensive (experiencing a mood that lasts longer than the emotion), they could be a shy person (a personality trait), or they could have panic attacks, phobias / extreme anxiety (a psychopathological disorder) (Matsumoto, 2012). 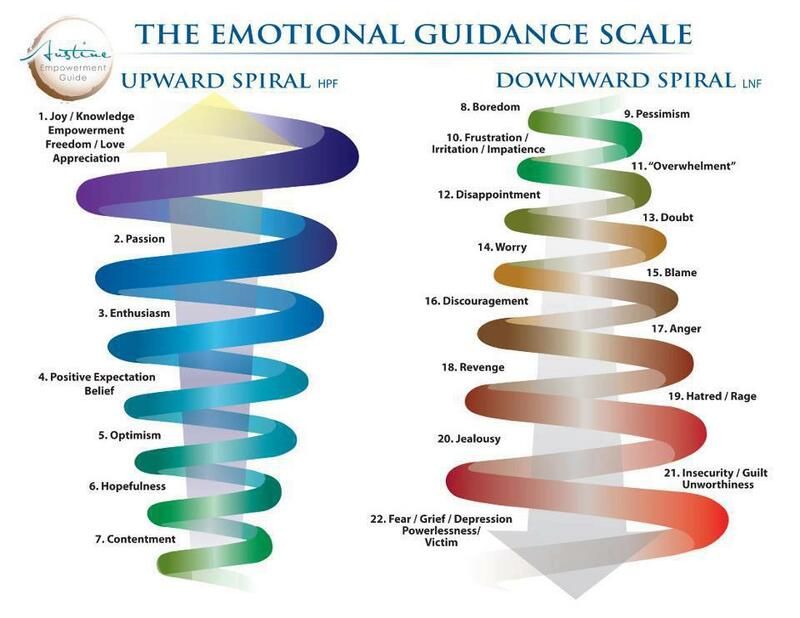 Below is another scale that orders the most positive emotions from 1st – 22nd. The idea of this scale is to identify where you may be personally on the scale and move upwards. This entry was posted in Emotions, Facial Expressions, Psychology and tagged matsumoto, mood, personality trait, psychopathological disorder, Ranges within the Seven Universal Emotions, Robert Plutchik’s Wheel of Emotions. Bookmark the permalink.